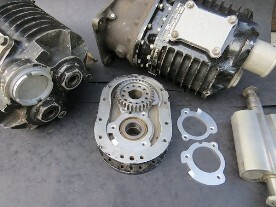 These models of Godfrey Marshall cabin superchargers were designed to only operate in anti-clockwise rotation (looking from the drive end). Therefore, unless an external oil feed is tapped into the front of the case there is no means of oil lubrication to the front of the blower if driven in reverse, i.e. for MMM application where the carburettor is positioned on the near side. 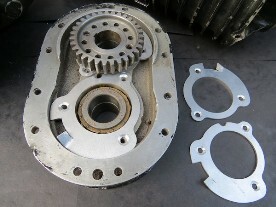 Vintage MG Parts have now designed a reverse rotation oil catch plate modification to overcome the problem. If you are running a Mk21 or Mk22 cabin supercharger with no external oil feed, then these plates will extend the operating life of your blower. These are straightforward to fit and we can provide fitting instructions on request.